It’s time for SENSOR+TEST 2015! Ilmsens is on the go! We have just been a part of the control 2015 and got lots of positive feedback for our new m:explore - but it’s just starting! The next big occasion where you can find us will be at the SENSOR+TEST 2015! 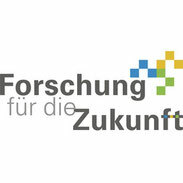 As an EXIST Project Ilmsens has the opportunity to share the joint stand Forschung für die Zukunft which is a collaboration between the federal state Thuringia, Saxony and Saxony-Anhalt to give development teams and startups the opportunity to present themselves to a broad public. There we will introduce our brand new m:explore to you! So if you are interested just visit us at our stand – we are happy to see you at SENSOR+TEST 2015! The SENSOR+TEST is the worldwide leading forum for sensors, measurement and testing technology. With more than 500 exhibitors from 32 countries and a total of more than 8.500 visitors every year it covers the whole spectrum of metrological system competency from sensor to evaluation. Additional events such as the AMA congress “SENSOR” and the “IRS²” do round up the fair with prospects to the future of the industry.